Hello everyone and welcome to The Grey Wolves Book Blog Tour! 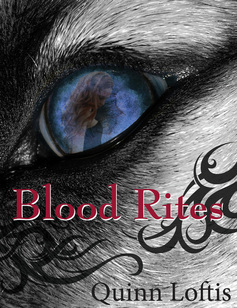 This is my second and final stop on the tour and as promised; today I will be sharing a excerpt from author Quinn Loftis new book Blood Rites. There will also be a giveaway at the end of the post for one free copy of any book in the series. Winners choice! Very cool! =D I hope everyone will enjoy learning more about this amazing series. 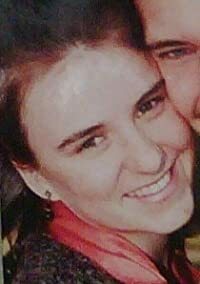 Jaque Pierce was just an ordinary 17 year old girl getting ready to start her senior year in high school in Coldspring, Texas. When a mysterious foreign exchange student from Romania moves in across the street, Jacque and her two best friends, Sally and Jen, don't realize the last two weeks of their summer was going to get a lot more interesting. From the moment Jacque sets eyes on Fane she feels an instant connection, a pull like a moth to a flame. Little does she know that the flame she is drawn to is actually a Canis Lupus, werewolf, and she just happens to be his mate; the other half of his soul. The problem is Fane is not the only wolf in Coldspring, Texas. Just as Fane and Jacque are getting to know each other, another wolf steps out to try and claim Jacque as his mate. Fane will now have to fight for the right to complete the mating bond, something that is his right by birth but is being denied him by a crazed Alpha. Will the love Fane has for Jacque be enough to give him the strength to defeat his enemy, will Jacque accept that she is Fane's mate and complete the bond between them? With her mom driving and her two best friends, Jen and Sally in tow, Jacque sets off for her happily ever after. She will soon realize a plan has been put in motion that will change her course and possibly tear her from Fane's grasp forever. It will take a wolf pack, her mother's love, her two best friend's unrelenting determination, her own will to survive and the undying love of her mate to bring her home. The question remains, if she fights, if she endures, who will she be, what will be left once she is back in her mates arms? Jennifer Adams, best friend to Jacque Pierce and Sally Morgan, spicy, out spoken, a little crazy and human...or so she thought. Jen has just found out that human DNA is not the only thing that resides in her veins, she happens to share that little pesky werewolf gene, although it isn't more than just a drop. Now that she and her friends are living in Romania with Fane's pack, she is also oh so conveniently stuck with the object of her affection, the fur ball Decebel. Drawn to each other by something they don't understand Jen finds herself frustrated by the lack of mating signs between her and said fur ball. Not only is she dealing with that not so un-frustrating problem, she now has been informed that because of that little drop of werewolf blood in her she is now required to attended a multi-pack gathering for un-mated wolves. This type of gathering hasn't taken place in over a century but with a shortage of females among the werewolf population the males are getting worried they won't ever find their true mates. Meanwhile Decebel struggles with the emotions he is feeling towards Jen. He tries to keep his distance but there is just something about the mouthy blonde that keeps him coming back for more of her verbal abuse that he just can't seem to get enough of...go figure. “Well I’ll be, that’s the most I have ever heard you say,” Sally said in honest astonishment. “Wow, you were like, explaining yourself to me and stuff. Jen would be so proud of you.” Decebel visibly tensed at the mention of Jen. “You know, I think she thinks you’re like the chocolate bunnies they sell at Easter, you know all yummy on the outside but hollow on the inside.” Now Sally was pulling a Jen, her brain, mouth valve just would not seem to close. “She compares me to a bunny?” Decebel asked incredulously. 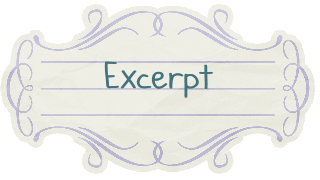 Book four in the series will be coming on June 7, 2012. Quinn is a wife, mother, nurse, and writer...not always in that order. She loves to read, write, crochet, and sleep when she can. She has a beautiful little boy and awesome husband who puts up with her crazy hours. 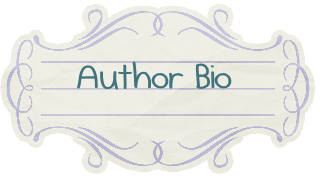 I want to say thank you to anyone who stopped by and to author Quinn Loftis for sharing with my readers more about her books. So who wants a giveaway?! Did you say yes? 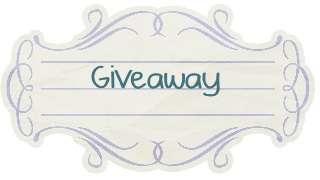 Well your in luck because Quinn is going to give one lucky reader of my blog to win any book they would like in her series. So look below for details. Now is your chance to win a copy of any of the books in the series! I want to win the first book because i haven't read this serie and it sounds realy interesing! And I love the cover! Thank you so much for having me on your site! I really appreciate it! Good luck to everyone who enters the give away! I would choose Prince of Wolves. I've been wanting to read it for a long time! Thanks for the giveaway! 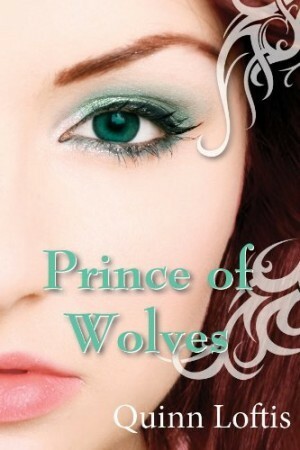 I would like Prince of Wolves so that I could start at the beginning. I love a series. Thanks a bunch for the giveaway. I would pick out of the dark since i own all the other ones! I would pick book one since I like to read in order! Prince of wolves, I haven't started this series yet! 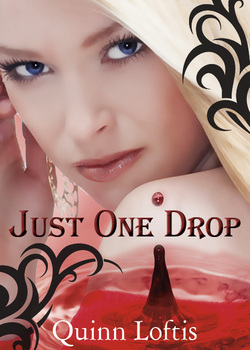 I've read the first 2 books in the series and loved them, so would love to win Just One Drop. I would pick the first book of the series!! !